my rig is much better now but this is the only pic i have till i buy a dj table. Cute picture, lol ... and very organized desk! 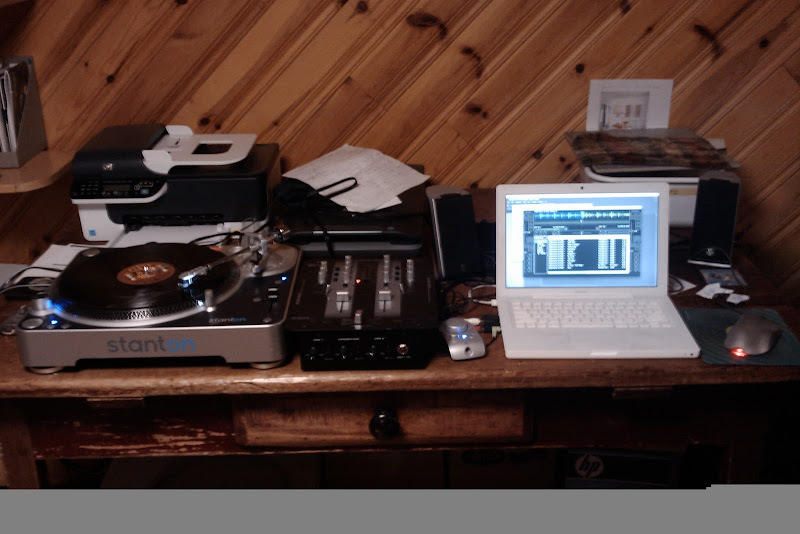 this is the plan for my dj rig in about two months. just gotta map it and get some speakers. The only system more compact would be a netbook with the music on its internal HD.